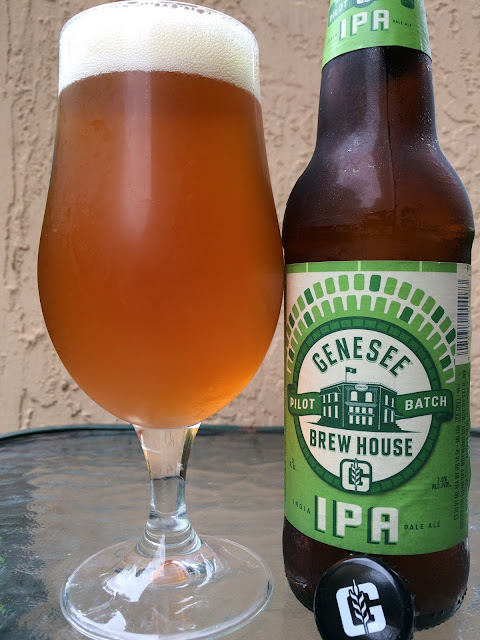 I recently had the chance to check out Genesee Brew House Pilsner. Today, the Brew House IPA! 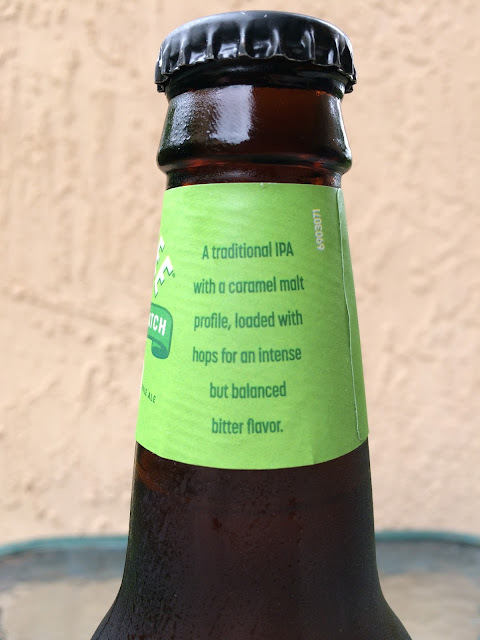 As good as that pilsner was, I had money betting this beer was going to be a wimpy, boring, low alcohol wannabe IPA. Upon checking the label, um, a 100 IBU 7.0% alcohol beast was in front of me! This ain't Genny Light! Fruity and hoppy aroma, full of citrus orange. Hoppy citrus bitterness comes first, pretty sharp and intense. Some background caramel adds just a little touch of sweetness. However, the lemony citrus builds more with each sip, bringing a dry and astringent quality. Alcohol shows. Citrus flavors and big bitterness linger way into the finish. Not bad but while I loved the bitterness, I definitely wanted a little more sweetness to round this beer out! Not wimpy or boring in any way either!